Living a healthy lifestyle does not have to be a burden! Many people assume that they will have to totally change the way they live to be healthier. It has been proven that small changes in many aspects of your life can help make you healthier and feel better. The following are several ways to make your life healthier. 1. Stop smoking. Every tissue in our body relies on oxygen to live and perform its function. Smoking “blocks” the oxygen from binding to the red blood cell (the blood cell that is responsible for transporting the oxygen to the different tissues of the body) and prevents it from carrying it throughout the body. This change might be one of the hardest that is suggested in this blog, therefore seek medical help, if necessary. 2. Exercise daily. 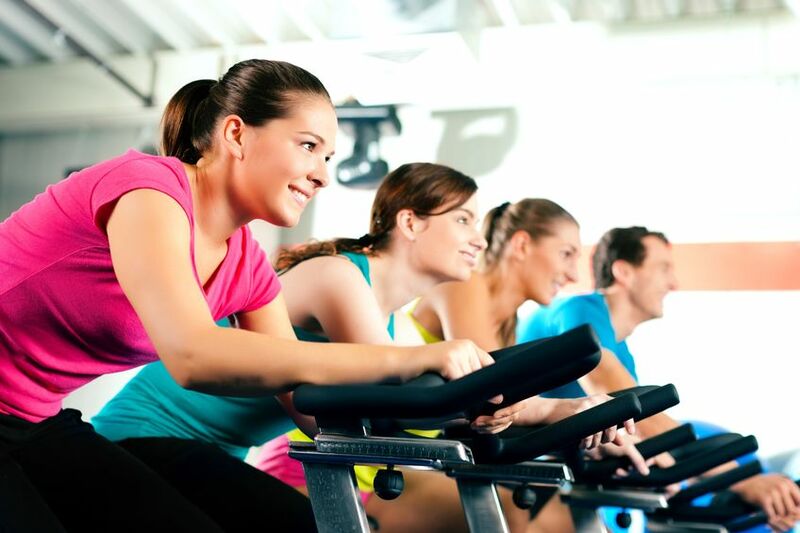 The benefits of exercise impact multiple aspects of your life. By simply increasing your daily activity, you can help reduce stress, increase cardiovascular strength and condition, reduce body weight, increase strength, improve sexual performance, sleep better, and reduce the chances of developing certain chronic diseases. Increased activities do not have to be intense to be effective. Walking the stairs instead of riding the elevator is a start. Plan to do some type of cardiovascular exercise 5 days per week for 30 minutes. Performing the exercise between 60 – 70% of your maximum heart rate (roughly 220 – your age x .60 or .70) will increase your cardiac strength and over-all health. When it comes to weight training, light weight, higher repetition strength training will help to tone and slightly increase the lean body mass (muscle), which can increase your strength, metabolism and improve how you move around. Perform these exercises in sets of 10 – 15 repetitions with a weight that makes you “struggle” slightly on the last two repetitions. Be sure to have good form. If you are unsure of what exercises to perform or how to do them, seek help from your Physical Therapist. 3. Reduce your stress level. Stressful situations or lifestyles can have a devastating effect on your over-all health. Stress causes the release of cortisol, a hormone linked to hypertension, anxiety, depression, cancer and stroke. Excess stress can lead to a host of health issues. One of the best ways to reduce the cortisol levels in your body is to perform physical activity such as cardiovascular exercise. 4. Know your numbers. Everyone should go to doctor to find out their values in Blood Pressure, Blood sugar (glucose), LDL and HDL (good cholesterol). All of these change daily to a certain degree, but the change is minimal and does not have a negative effect on the body in most cases. The normal values vary as age, but the change is not drastic. Blood Pressure should be in the range of 120 / 80. Blood sugar should be 65 – 99 mg/dl. LDL should be in a range of 0 – 99 mg/dl and HDL should be greater than 39 mg/dl. HDL levels that are greater than 59 mg/dl have been shown to decrease the frequency of onset of chronic heart disease. Total cholesterol levels should be between 100 – 199 mg/dl. 5. Watch your diet. Eat more fish and less fatty foods. Certain fish have high levels of Omega 3 that have been linked to better heart health. By staying away from the fatty or fried foods you can reduce your chances of developing chronic heart disease and diabetes. 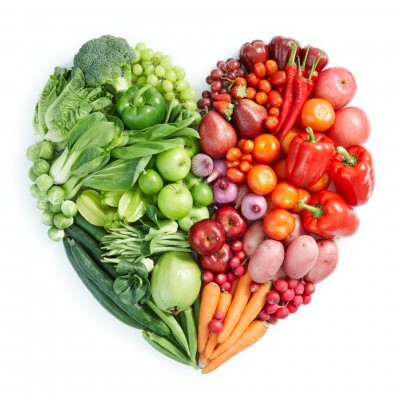 Eat 5 helpings of fruits and/or vegetables (colorful foods are good for you!) per day and you help your body function more efficiently and have less chance of developing chronic diseases. 6. Sleep more. Most adults need 7-9 hours of sleep per night. Adolescents need 10 – 12 hours per night. There are different cycles of sleep and the “deep sleep” cycle is the time when the body heals itself. If your sleep is disturbed or not long enough, you may not enter the “deep sleep” cycle, making it more difficult for the body to repair itself. Not enough sleep can lead to health issues, fatigue, and poor performance at work and around the home. Here are some tips for improving sleep. Try to keep your routine the same regardless of the day of the week or time of the year. Attempt to go to sleep and wake up at the same time. Don’t eat for several hours prior to going to sleep. Try to set up an environment in your room that is conducive to relaxation and sleep. Your Physical Therapist can teach you breathing techniques that help to relax you. 7. Drink more water. Water is essential for most of our bodily functions. 7-8 glasses (12 oz) per day are recommended to remain healthy. When you are properly hydrated, it is easier to remove toxins and waste materials from your body. Water can suppress your appetite and help you maintain your desired body weight. Lastly, it improves your skin texture and look. 8. Laugh more frequently. Laughing and a positive attitude are able to reduce the stress hormone levels in the body. Laughing has been related to reducing hypertension and chronic heart disease. 9. Eat less salt. Most of us eat too much salt throughout the course of a day. We don’t factor in the amount of sodium in almost all foods due to the processing of the food. You don’t have to “put” salt on to be eating too much. The goal is to eat less than 6g of salt per day. Eating more than this has been linked to hypertension and other cardiovascular health conditions. 10. Walk greater distances. We should strive to walk approximately 10,000 to 12,000 steps per day. If you are trying to lose weight, try to walk 12,000 steps or more per day. Park further away from the entrance and it forces you to walk a further distance. Walking down the stairs uses approximately .25% of the energy required to walk up the stairs. If you are in poor shape, take the elevator up and walk down. Your Physical Therapist can assess your gait and shoe wear if you develop pain from walking. Proper shoes, possibly using inserts (orthotics), and specific exercises can prepare your body for the extra walking.